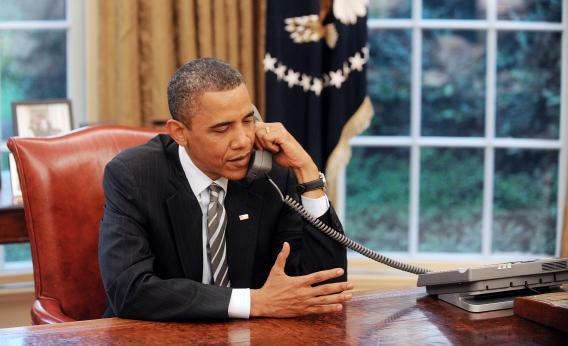 Government to finally release secret justifications for NSA phone records database. The Obama administration will finally share information about the legal interpretation used to justify the vast NSA phone records database. Before the Edward Snowden NSA leaks, the Obama administration refused to disclose the secret legal interpretations it used to justify its surveillance activities. But in a forced shift toward greater transparency, the Justice Department is set to release a trove of secret documents that could finally reveal the contentious legal rationale underpinning domestic data collection on millions of Americans. In June, the Guardian disclosed that the government had built a vast database of records showing phone calls made by millions of Americans every day as part of a program that has apparently been operational for the last seven years. But despite a public backlash following the scoop, the DOJ and White House would not reveal the secret legal interpretations and opinions related to Patriot Act section 215 that it believed legitimized the program. Now, though, that may be about to change: In a court filing Wednesday, the DOJ said that it is reviewing “hundreds of documents” and plans to release some by Sept. 10 in response to a Freedom of Information Act suit brought by the Electronic Frontier Foundation. The DOJ’s turnaround in this case is extraordinary, acutely illustrating the radical change in the Obama administration’s position on surveillance transparency since the Snowden disclosures. Back in January, the DOJ told the court in the EFF case that it had found more than 2,000 pages of documents that related to the group’s FOIA request about Patriot Act section 215, including court opinions, internal communications, and executive branch guidelines. But the DOJ said it could not release the information and refused to provide the court with a mere “itemization” or description of the documents—even that, it said, could reveal some classified information. Now, the DOJ says that it can release some of the documents because in the last three months they have become no longer secret. After the Snowden leaks began in June, the Director of National Intelligence declassified some information about secret NSA programs, saying that doing so was in “the interest of increased transparency.” The administration also released a previously undisclosed “white paper” that provided some explanation for the legal rationale behind the phone records collection. But many crucial details about the legal justification for the collection of Americans’ phone records have still remained under lock and key, which is why the trove that the government is about to release—albeit in redacted form—is of importance. Several lawmakers are currently pushing to stop the phone records program, and the release of new details about its legal underpinning could help fuel efforts to bring about reform. According to the ACLU, at least 19 NSA-related bills are pending in Congress, with more expected to be introduced. Meanwhile, fresh revelations about the agency’s sweeping surveillance efforts are still trickling out based on thousands of documents leaked by Snowden. In August, a separate FOIA suit by EFF led the government to finally disclose a secret 2011 court opinion that found the NSA had conducted an unlawful electronic surveillance program for three years, collecting tens of thousands of emails sent between Americans with no connection to terrorism. Prior to Snowden’s leaks, the DOJ had fought aggressively to keep the 85-page court opinion secret, claiming that it could do “exceptionally grave and serious damage” to national security if released.